The Musicians Hall of Fame honors musicians from all genres and eras of recorded music, and inductees are nominated by current members of the American Federation of Musicians and by other industry professionals. 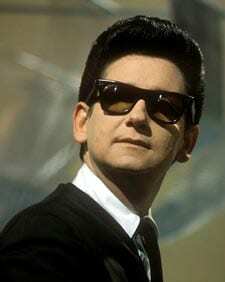 Roy Orbison began making his mark on the music world in 1956 while recording for Sun Records. On Monument Records in the early-to-mid 1960s, Orbison’s commercial success rose with the popularity of “Oh, Pretty Woman,” a song co-written by Orbison and Bill Dees. It went on to sell 7 million copies. It was unprecedented for any American to have this kind of chart-topping power simultaneously on both sides of the Atlantic in the Beatles-dominated year of 1964. Although Orbison passed away in 1988, his presence endures due to the the ongoing effort to preserve his legacy by sons Alex, Roy Kelton, and Wesley Orbison, whose Roy’s Boys LLC manages their father’s name, likeness, image, and musical output, offering a series of audio and DVD reissues, as well as newly curated releases.